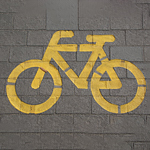 While you're on the road, you could see a few people on bicycles instead of driving cars. The people operating these vehicles deserve just as much respect on the road as you do, and there are ways that you can easily share the road in peace. One is to give the right of way to someone on a bike. The person might not be able to hear your vehicle, which means that you should try to pay attention to the person's actions. Another way that you can share the road with bicyclists is by checking in both directions multiple times to see if there is a bike coming. Let the bike cross the road before you turn so that you can both get to your destination. Subaru of Spokane can often assist with making sure your turn signals are in working order before getting on the road so that others know of your intentions. Keep in mind the bicyclists usually have to abide by some of the same regulations on the road as pedestrians when crossing the street, but you still need to look for those who are crossing.